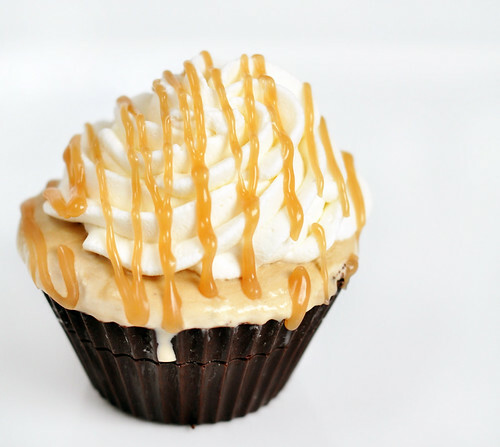 One of the perks of working with a restaurant consultant is the abundance of hook ups; from free food to access to wholesale items. 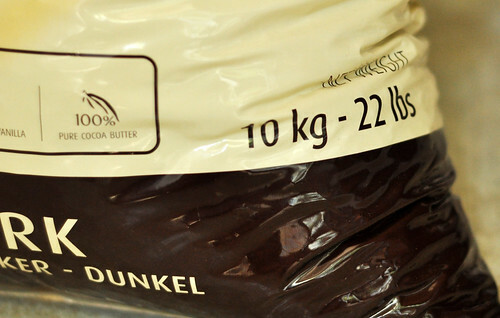 Good quality chocolate is one of those items/ingredients that are hard to come by cheap. 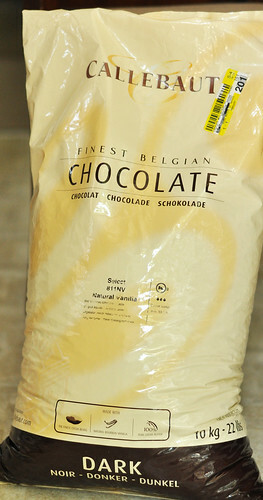 I got a ginormous bag of chocolate for my various baking needs. If you're wondering how big/heavy this bag of chocolates are, let me show you. YUP. 22lbs. Oh man, alive that's a lot of chocolate. With the coming of summer I'm a little afraid it'll melt in my kitchen but I'm excited I won't have to worry about chocolate for a while. Callebaut is one of the better quality chocolates out there. If money were no object, the one to get is Vahlrona... but no sense in dreaming. So, the thing about chocolate is that if you want to... 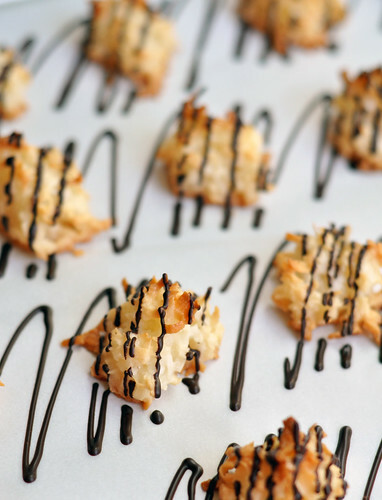 I don't know... cover a cookie in chocolate, or drizzle it onto some coconut macaroons you have to melt it down in a specific way. 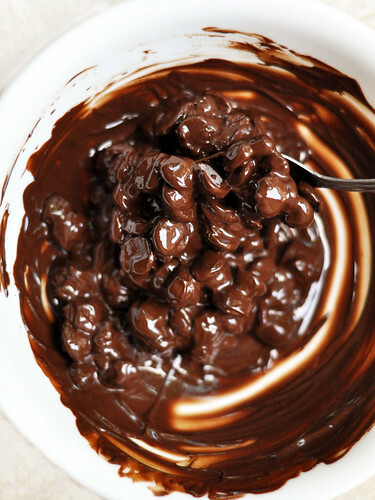 If you just try to melt down chocolate without tempering it, it will stay melted for a very long time smearing anything that comes close to it. And when it finally does dry, it'll have these ugly streaks in it called "bloom." You'll know when you see it. The closest thing I could compare it to is butter. Once you melt butter down and it hardens, it's never the same again. 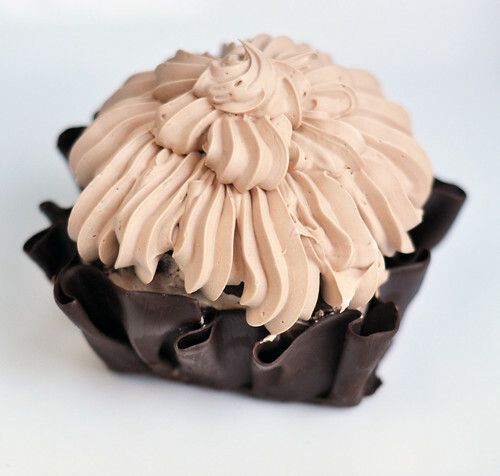 Chocolate is kind of like that. I won't go into the science of it all because to be honest, I have a hard time understanding it myself. Now, this is why there are different kinds of chocolates out there such as the Wilton Candy Melts. 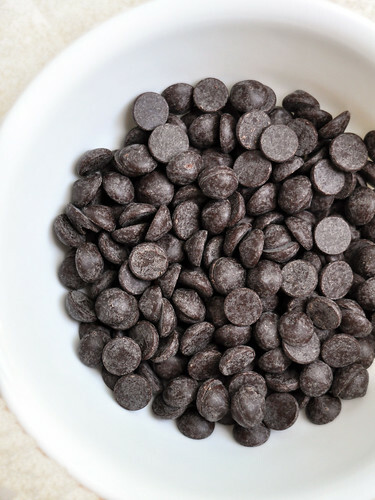 These have ingredients that take a lot of what makes chocolate, chocolate out and put in it ingredients that will prevent this ugly "bloom" no matter how you melt it. That's why it doesn't taste very good. 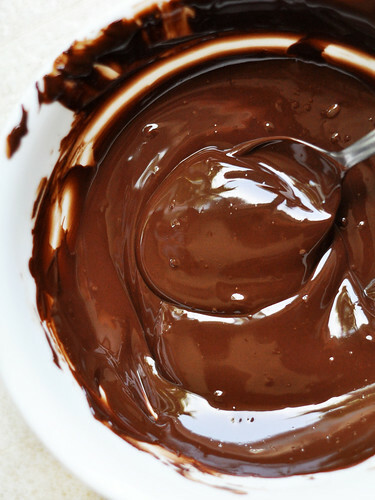 This is my "Tempering Chocolate in Less than 5 Minutes." That is, depending on how much chocolate you need. For the photos below I used maybe about 4-5 ounces of chocolate. So FIRST, put the chocolate in a microwave safe bowl. 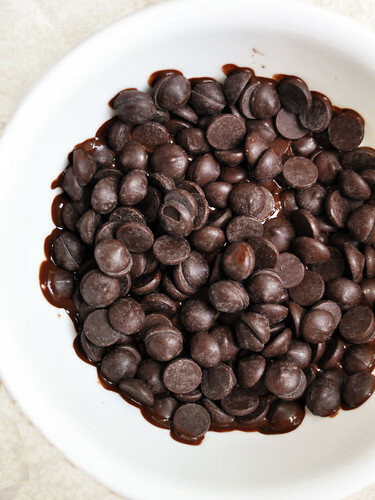 Then microwave the chocolate in about 20 second intervals. The first interval can go to about 30 seconds since it always take longer in the beginning to get the melting going. Once you start to see the outer chocolates melting, start stirring. Heat for another 20 seconds. Take it out and stir pretty well. At this point the chocolate should be pretty melty. The key is to get to a point where all the chocolate has JUST melted. No hotter than the bare minimum to get it completely melted. One more burst but 10 seconds at a time now. Watch it at this point and keep stirring. 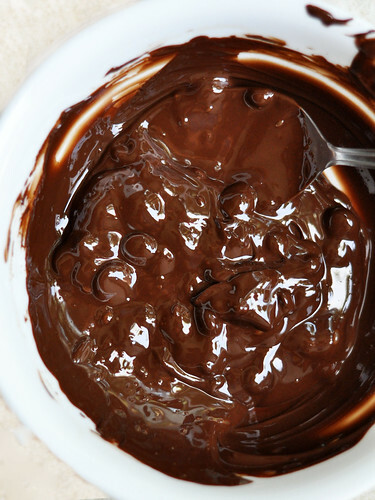 You'll find that even though it doesn't look completely melted, if you keep stirring, the residual heat from around the edges of the chocolate will help to melt the rest of the chocolate. The bowl and the chocolate should be just barely at body temperature when you're done stirring. Again, depending on how much chocolate you want to melt and how strong your microwave is will vary the times. If you want to be safe, just stick with 10 second intervals the first go around. You'll know if you did it correctly when the chocolate already starts hardening after 10 minutes. When it completely dries, it'll dry hard and shiny. Here are some projects I did with tempering chocolate.